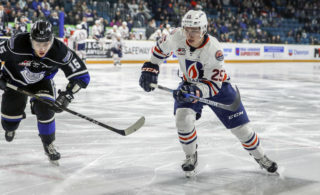 The Kamloops Blazers fell a goal short in a 2-1 loss to the Victoria Royals on Saturday night at home. 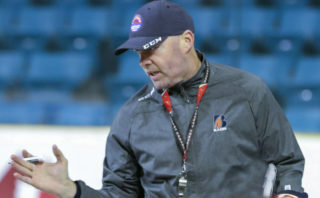 Connor Zary had the goal for the Blazers as Nolan Kneen and Martin Lang recorded assists. Kneen now has nine assists in the first seven games of the season. 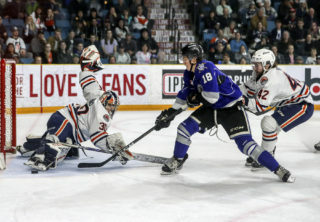 The Royals scored a power play goal to tie the game and added the winner in the third period off a tip from Dante Hannoun to make it a 2-1 final. 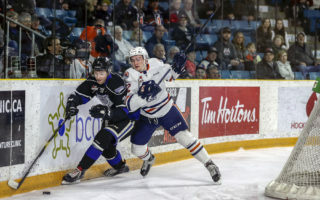 The Blazers outshot the Royals 27-22 on the night and were 0-for-4 on the power play and 4-for-5 on the penalty kill. 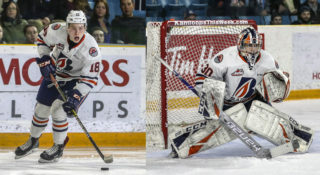 The Blazers will play two games on the road next weekend in Vancouver and Everett before returning to home ice on Friday, October 19th when they host the Swift Current Broncos on Mark Recchi Hockey Hall of Fame Night. For tickets, follow this link.